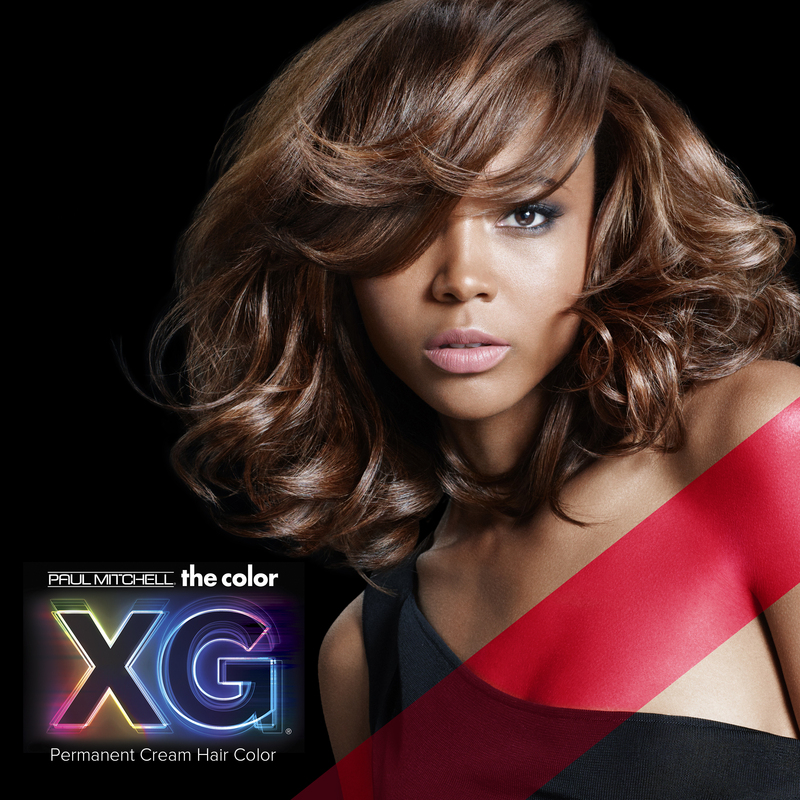 Much to our excitement, the color XG® is here and doing wonderful things for our salon businesses. In this blog post I am going to give you three different points of view of how the introduction of this color line can positively affect your business; as a salon owner, stylist and educator. Before we delve in, it’s important to note that change often elicits two feelings: excitement and fear. Excitement comes from a desire to try something that is different or might give us a result that we have not had before. Fear comes from the unknown, not knowing what will happen or what the new thing can do. We’ll consider these two main responses to change as we discuss how you can successfully introduce a new color line into your salon. I provided blonde swatches for the stylists to try every option and ratio of the intensifiers in order to understand the strength and limitations. We spent time covering the information of the color XG in-depth with various color scenarios to feed and overcome the fear response. I had the stylists compare and contrast the color XG to Paul Mitchell the color, SHINES XG® and PM SHINES® along with scenarios of what type of hair or guests they would use each color brand on. If the guest in our chair loves their hair color, we did not offer change. If the guest in our chair was receiving color for the first time, we looked at the scenario and determined if the benefits of the color XG or the benefits of the color were best for them. If the guest enjoys change often or we were not quite hitting the nail on the head with their color in the past, we used the color XG. If you’re trading out a color line from another manufacture to bring in the color XG, book an in-salon class to have one of our local educators help familiarize you and your team with the product. Paul Mitchell provides free education about the Paul Mitchell products you are using. As a stylist, I value offering the newest and best products to my guests so that their hair feels and looks great. But I also understand that guests only need the newest product or latest technology when it’s right for them. When I think of which color option to use on any given color guest, I use a similar approach to picking styling products (i.e. If my guest needs volume in her hair, I choose from Extra-Body styling products, Tea Tree Lemon Sage® products or a round brush blow-out). With Paul Mitchell the color, the color XG, SHINES XG and PM SHINES on my Color Bar, I have multiple options to ensure my guest’s hair looks great and that she is happy and confident with her fresh hair color. For that reason, I make sure I have the best knowledge of the color lines I offer and the hair I am working with to give the best experience possible to each individual guest. What looks and techniques will best suite that market? What current promotions are being offered in that market? I make sure that I ask clear questions and listen for reasons why stylist might be scared to use a new color line. I lookout for stylists that are so excited that they just want to break the rules before they even know what the rules are. I make sure the displays and doll heads look great so that a positive impression is made from the Paul Mitchell products through the visual aids. These are the most important things to pay attention to because the reaction someone has to change often determines their actions as a customer. If we are able to guide and direct them through these experiences with a positive outcome, the success rate for their salon will be huge and in turn that keeps us valuable as an educator. I want to leave you with a term you should become familiar with: Blind Ambition. This is when someone loses their direction but doubles their speed. The reason I share this is because as Paul Mitchell grows in brands and products I don’t want you to lose your direction towards your goals because you feel overwhelmed. Our goals are the guiding light to help us keep our direction. What we are given determine how we reach out goals and our pace determines the quality of life when we reach those goals. Keep your pace steady, your direction straight and your goals clear.